Official announcement on Simran-Trisha multi-starrer film! It was earlier reported by us that Simran and Trisha will once again be joinings hands for their next project directed by Sumanth Radhakrishnan who previously made Sadhuram 2 in 2016. This film will be Vijayaraghavendra’s All In Pictures’ fourth production venture following Masala Padam, Rum and Gorilla. 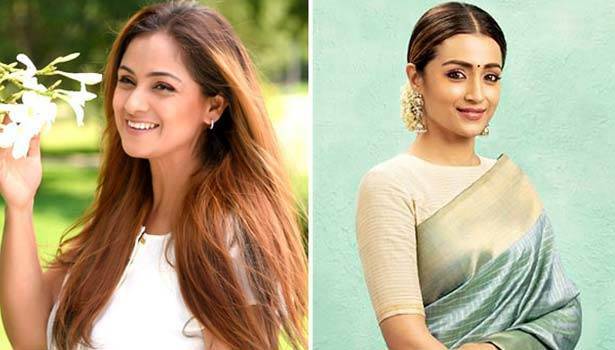 Simran and Trisha recently reunited in Karthik Subbaraj’s Petta, starring Rajinikanth in the lead, almost 20 years after Trisha made a small appearance in Simran's Jodi. Although they never shared screen space in the film, fans can now hope to see more of the duo in their upcoming venture together. The makers have now stated that this big project will be an action adventure and both the sensational actress' will be playing the leads in the film. The fans have been pumping to hear this news officially since it is the first time ever the two actresses' will be seen playings main leads together. We are yet to hear further updates on this project, stay tuned to know more!